BY USING “THE MYEXCELONLINE ACADEMY” YOU ARE CONSENTING TO OUR TERMS AND CONDITIONS AS OUTLINED BELOW. The terms “we,” “us,” and “our” refer to My Excel Online SLU. The term the “Site” refers to courses.myexcelonline.com. The terms “user,” “you,” and “your” refer to site visitors, customers, members and any other users of the site. 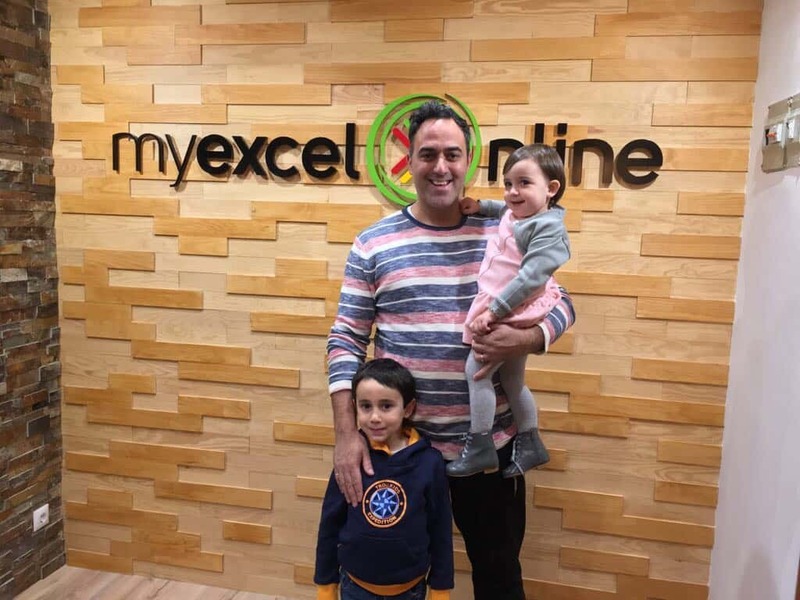 The MyExcelOnline Academy is a membership site for online training, courses, resources and other content relating to learning how to use Microsoft Excel™ (the “Service”). Use of courses.myexcelonline.com, including all materials presented herein and all online services provided by My Excel Online SLU, is subject to the following Terms and Conditions. These Terms and Conditions apply to all site visitors, customers, and all other users of the site. By using the Site or Service, you agree to these Terms and Conditions, without modification, and acknowledge reading them. Parties agree that the Service is in the nature of education. The scope of services provided by My Excel Online SLU according to this Agreement are limited to those listed on courses.myexcelonline.com website. My Excel Online SLU reserves the right to substitute services equal to or comparable to the services listed if the need arises, without prior notice. To access or use the Site, you must be 18 years of age or older and have the requisite power and authority to enter into these Terms and Conditions. Children under the age of 18 are prohibited from using the Site. Information provided on the Site and in the Service related to membership sites and other information are subject to change. My Excel Online SLU makes no representation or warranty that the information provided, regardless of its source (the “Content”), is accurate, complete, reliable, current, or error-free. My Excel Online SLU disclaims all liability for any inaccuracy, error, or incompleteness in the Content. In order to use the Service, you will be required to provide information about yourself including your name, email address, username and password, and other personal information. You agree that any registration information you give to My Excel Online SLU will always be accurate, correct, and up to date. You must not impersonate someone else or provide account information or an email address other than your own. Your account must not be used for any illegal or unauthorized purpose. You must not, in the use of the Service, violate any laws in your jurisdiction. Once confirmed, we will provide you access to the purchased Service. You agree and understand that access to the Service may at times be influenced and affected by third parties that we use to provide the Service (web hosting, membership site plugins, etc.). You agree and understand that no breach of contract action may be initiated against My Excel Online SLU when there are reasonable delays in the access of the Service. My Excel Online SLU reserves the right to terminate the Service, and or access to certain features of the Service, with or without prior notice to you. We will make reasonable efforts to provide notice but is not required to do so under the terms of this agreement. Monthly membership is for 30 day access of the Service. Annual membership is for 365 day access of the Service. If for any reason, My Excel Online SLU should dissolve or cease to exist, then your access to the Service terminates. We offer a 30 day money back guarantee should you be unhappy with the Service in your first month of membership. To request a refund please contact support via email at [email protected]. As a feature of the Service, My Excel Online SLU may provide access to a community or social media platforms in conjunction with the Service. My Excel Online SLU is not required to provide a community platform, and has complete discretion with regards to the platform, and the nature of the interaction, dependent on the Service. You agree that your use of these community and social media platforms is a privilege and My Excel Online SLU may limit or deny access to these platforms for misconduct that includes but is not limited to being inappropriate, rude, violent, or threatening. My Excel Online SLU will make reasonable efforts to provide notice to you with regards to inappropriate or unapproved content that you have placed within the voluntarily provided community and social media platform. My Excel Online SLU is not required to provide notice, and reserves all rights to take immediate and appropriate action to protect the My Excel Online SLUs’s brand and image integrity. We claim no intellectual property rights over the material you supply to My Excel Online SLU. You retain copyright and any other rights you may rightfully hold in any content that you submit through the Site or Service. Content you submit to My Excel Online SLU remains yours to the extent that you have any legal claims therein. You agree to hold My Excel Online SLU harmless from and against all claims, liabilities, and expenses arising out of any potential or actual copyright or trademark misappropriation or infringement claimed against you. By posting material on the Site, you grant us a worldwide, nonexclusive, irrevocable license to use the material for promotional, business development, and marketing purposes. You consent to recordings being made of calls or webinars provided as part of the Service. You consent to your name, words, voice, and likeness being used by My Excel Online SLU for promotional, business development, and marketing purposes, without compensation to you. We will make reasonable effort to secure your written permission before using and distributing recordings, print materials, audio, or visual representations that refer to you. The Site and Service contain intellectual property owned by My Excel Online SLU, including trademarks, copyrights, proprietary information, and other intellectual property. My Excel Online SLU’s copyrighted and original materials are provided to you as part of the Service for your individual use only and a single-user license. All intellectual property, including My Excel Online SLU’s copyrighted materials shall remain the sole property of My Excel Online SLU. No license to sell or distribute our materials is granted or implied. YOU AGREE THAT UNDER NO CIRCUMSTANCES SHALL WE BE LIABLE FOR DIRECT, INDIRECT, INCIDENTAL, CONSEQUENTIAL, SPECIAL, PUNITIVE, EXEMPLARY, OR ANY OTHER DAMAGES ARISING OUT OF YOUR USE OF THE SITE OR SERVICE. ADDITIONALLY, MY EXCEL ONLINE SLU IS NOT LIABLE FOR DAMAGES IN CONNECTION WITH (I) ANY FAILURE OF PERFORMANCE, ERROR, OMISSION, DENIAL OF SERVICE, ATTACK, INTERRUPTION, DELETION, DEFECT, DELAY IN OPERATION OR TRANSMISSION, COMPUTER VIRUS, OR LINE OR SYSTEM FAILURE; (II) LOSS OF REVENUE, ANTICIPATED PROFITS, BUSINESS, SAVINGS, GOODWILL OR DATA; AND (III) THIRD PARTY THEFT OF, DESTRUCTION OF, UNAUTHORIZED ACCESS TO, ALTERATION OF, OR USE OF YOUR INFORMATION OR PROPERTY, REGARDLESS OF OUR NEGLIGENCE, GROSS NEGLIGENCE, FAILURE OF AN ESSENTIAL PURPOSE AND WHETHER SUCH LIABILITY ARISES IN NEGLIGENCE, CONTRACT, TORT, OR ANY OTHER THEORY OF LEGAL LIABILITY. THE FOREGOING APPLIES EVEN IF MY EXCEL ONLINE SLU HAS BEEN ADVISED OF THE POSSIBILITY OF OR COULD HAVE FORESEEN THE DAMAGES. IN THOSE STATES THAT DO NOT ALLOW THE EXCLUSION OR LIMITATION OF LIABILITY FOR THE DAMAGES, OUR LIABILITY IS LIMITED TO THE FULLEST POSSIBLE EXTENT PERMITTED BY LAW. IN NO EVENT SHALL MY EXCEL ONLINE SLU’S CUMULATIVE LIABILITY TO YOU EXCEED THE TOTAL PURCHASE PRICE OF THE SERVICE YOU HAVE PURCHASED FROM MY EXCEL ONLINE SLU, AND IF NO PURCHASE HAS BEEN MADE BY YOU MY EXCEL ONLINE SLU’S CUMULATIVE LIABILITY TO YOU SHALL NOT EXCEED $100. The Site and the Service may contain links to third party websites and resources. You acknowledge and agree that we are not responsible or liable for the availability, accuracy, content, or policies of third party websites or resources. Links to such websites or resources do not imply any endorsement by or affiliation with My Excel Online SLU. You acknowledge sole responsibility for and assume all risk arising from your use of any such websites or resources. This Agreement constitutes the entire agreement between you and My Excel Online SLU pertaining to the Site and Service and supersedes all prior and contemporaneous agreements, representations, and understandings between us. No waiver of any of the provisions of this Agreement by My Excel Online SLU shall be deemed, or shall constitute, a waiver of any other provision, whether or not similar, nor shall any waiver constitute a continuing waiver. No waiver shall be binding unless executed in writing by My Excel Online SLU.